Habey has added another fanless PC to their line up with the launch of the Habey WIT-1800. 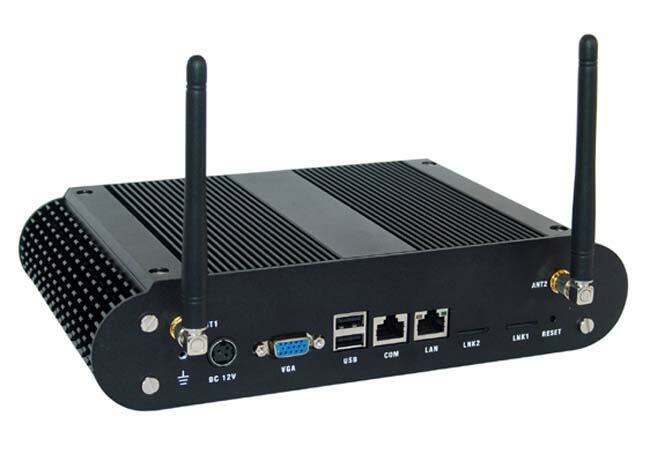 The WIT-1800 is a fanless embedded PC with an Intel Atom processor. It also feature four mini-PCIe slots, dual SIM and 3G wireless support, and it uses an Intel Atom N450 processor or a D410 dual core processor. Other specifications on the Habey WIT-1800 include two SIM slots and two antenna sockets for 3G, plus CF, mini-PCIe SSD and 2.5” SATA SSD/HDD support. The Habey WIT-1800 is compatible with Windows, Windows Embedded, Windows 7 & Linux, there are no details on pricing or availability.